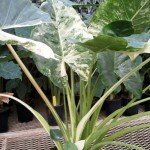 Comments: This white and green variegated elephant ear has a very interesting look. 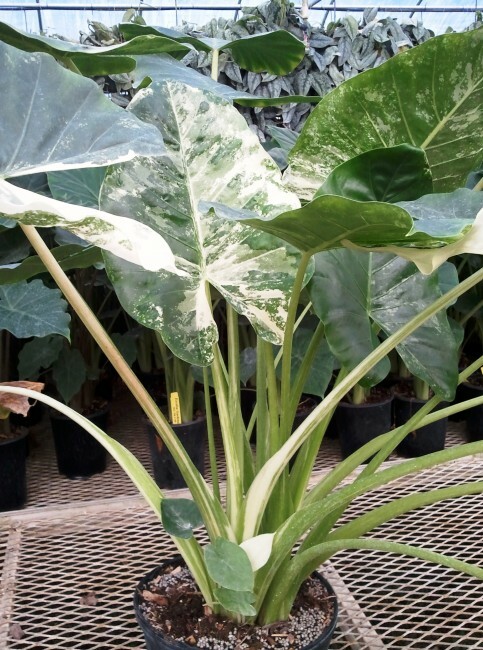 The pattern can range from a single white spot to an entire white leaf. Adds a different look when set among solid green foliage.